Ever since I began knitting socks, I wanted to try out patterned socks. But somehow I never found a pattern that was easy enough to watch tv while knitting AND in my size AND not boring. So, I made up my own. 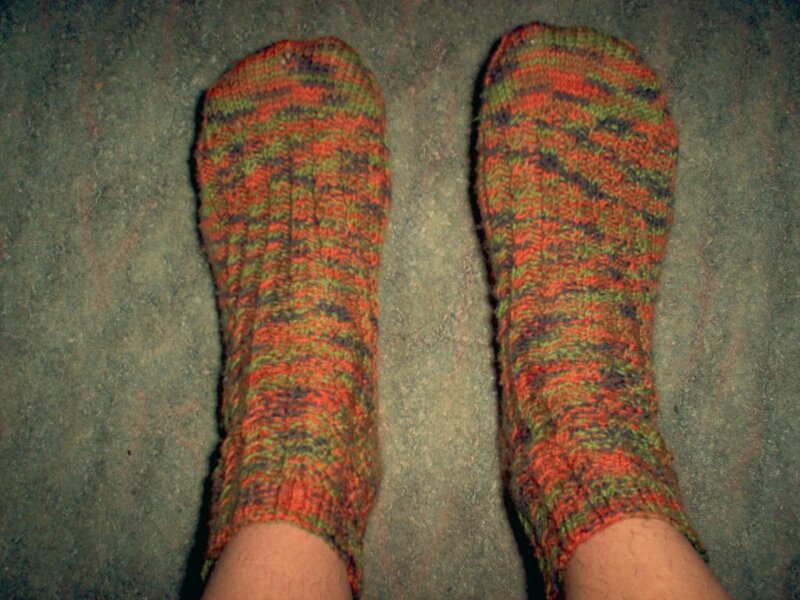 It's nothing extra special and I'm sure there are others out there who have knitted socks like these, but I wrote down a little pattern for you anyway. Just in case someone like me searches for an easy patterned sock. Size: given with my size(EU 40), but can be modified for bigger or smaller feet. Please Note: This is not a tutorial on how to knit socks(see here for a great tutorial) So I won't give directions on the heel etc. CO 60sts and divide the sts evenly on the needle. Continue in Mock cable 1, begin with Row 4, untill it's as long as you want it. Work the toe as you always do in stockinette, I worked row 4 of the Mock cable 2 last. Ah great patterned socks idea! Thanks for the tip about the Ewa's wool. I haven't started knitting with it yet but I hope to soon. I am feeling very poorly this week so am not up to my usual blogging capabilities. Congrats on passing your exam too!